Science Range Publications is an independent international publisher of a number of open-access, online, peer-reviewed journals and covers a wide variety of scientific disciplines. This is only possible by an Article Processing Charges (APC) which covers graphics, professional copy editing to meet the rigorous academic standards for immediate publication upon acceptance, to maintain the scholarly record and archiving and to accessible in various formats online. Authors are required to pay Article Processing Charges for the processing of their manuscripts. There are no charges of submitting an article. 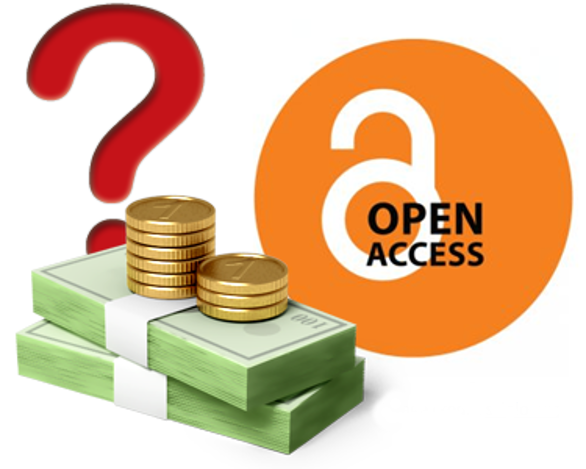 Authors have to pay Article Processing Charges only when the article has been accepted for publication. *APC reductions are for authors belong to low-income countries depending on the economic status of author. An author after submitting a manuscript may sometime wish to withdraw it. Changing the mind is an author’s right. There is a full liberty for an author to withdraw an article without any charge within 2 weeks of its initial submission but after peer-review process author has to provide strong justification to withdraw an article. If any article at any stage, by any means shows infringements of professional ethical codes, which includes number of similar submissions, deceptive allege of authorship, duplication of data/ plagiarism, fraudulent, deceitful or unethical use of data or any similar incidence, the article will be withdrawn by Editor’s prudence. In this deem, Editor’s decision is considered to be the final decision because it is followed by deep assessment and analysis of that situation. Normally, a retraction is considered to correct the errors in submission and publication. In this case, infringements of professional ethical codes, which include number of similar submissions, forged allege of authorship, duplication of data/ plagiarism, fraudulent, deceitful or unethical use of data or any similar instance will be directed to the retraction of an article. And also any means of tampering the scientific data or any other fraud hindering science should be treated with strict possible action. The main objective of these actions is to maintain and perpetuate the integrity of the scientific record. APC reductions are for authors belong to low-income countries depending on the economic status of the author. Generally, the first author of an article will be the corresponding author. Science Range Publications will look at the country of the corresponding author and reduce charges accordingly at the time of request. In case, corresponding author and the first author differs, then APC reductions are determined according to the origin of each author’s country and provided with the least favorable APC reduction. This is to protect Science Range Publications from the possible unfair exploitation of APC Policy. No additional page charges are charged from authors in addition to APC. The author needs to arrange full Article Processing Charges (APC) unless a waiver has been granted. When an article has been accepted for publication APC becomes payable and formatting checks on the article will be commenced. As soon as payment of article is received and formatting checks are completed, the article will be published. If you have any confusion or questions feel free to contact us for further conversation.